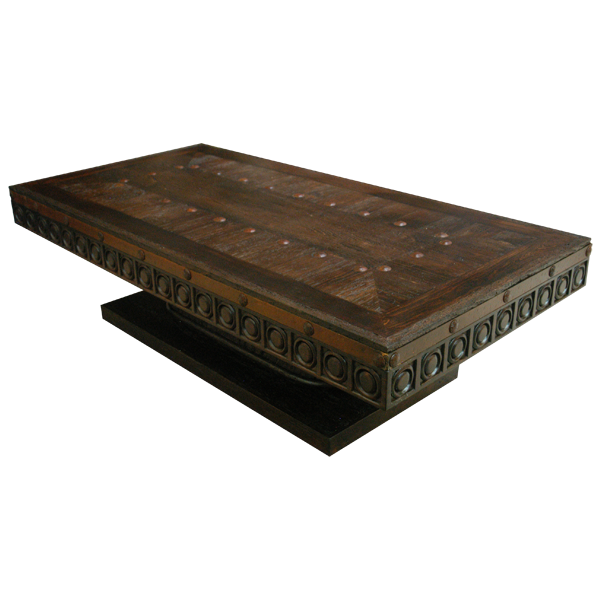 With its gorgeous, dark finish and hand forged iron details, this handcrafted, Western style coffee table will make a statement wherever it is placed. 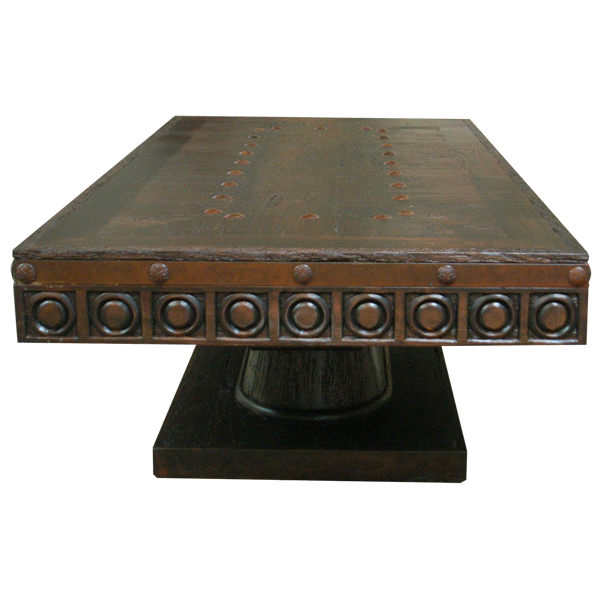 The center of the table top has a rectangular, solid wood horizontal design, and its center is adorned with hand forged, iron conchos also in a rectangular design. The coffee table has an outer, contrasting, solid wood border. The upper side of the top is covered with a hand forged iron band, and hand forged, iron conchos are intermittently hand tacked to the side of the band. Directly below are hand carved, circular designs embellishing the remaining sides of the table top. The coffee table is supported by a large, oval shaped pedestal, and the pedestal rest on a wide, solid wood platform. 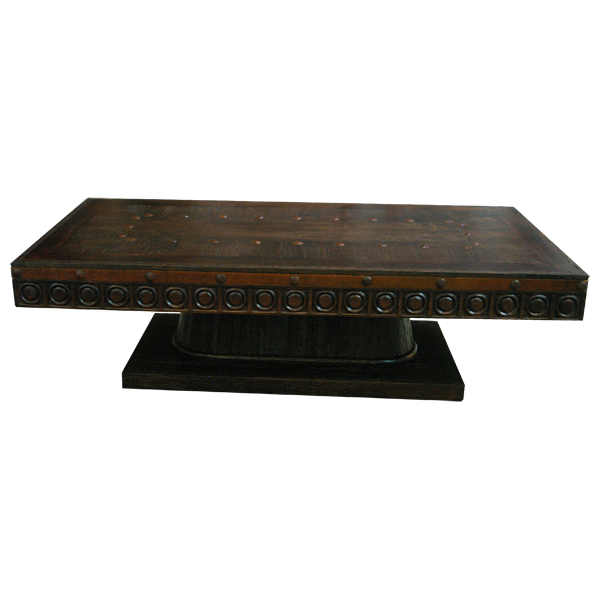 The coffee table has a beautiful, dark, antique finish, and it is made with the best, sustainable, solid wood available. It is 100% customizable.